Back To The Roots Magazine, based in Belgium, is one of Europe’s top blues publications. 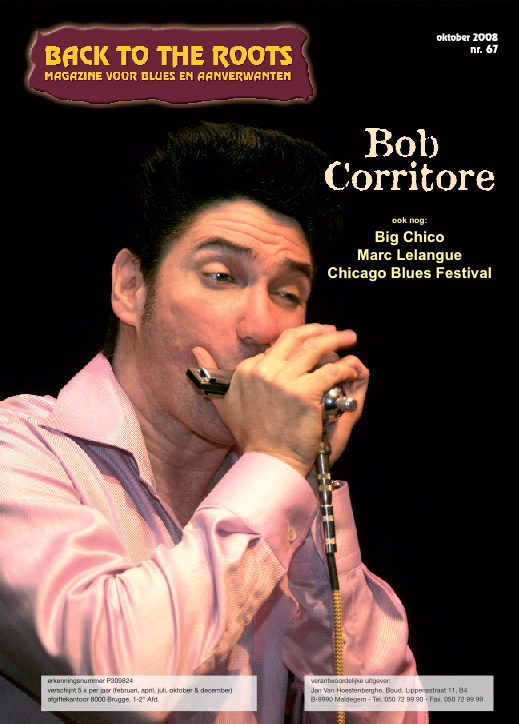 The October 2008 issue features a Bob Corritore cover story. Aigars Lapsa’s photo of Bob performing at the 2007 Lucerne Blues Festival is the cover shot. The story itself features an interview with Bob by Back To The Roots editor, Franky Bruneel. Thank you, Back To The Roots Magazine!